This Post-Thanksgiving weekend however has been bliss. No tourists! No people come to that either… as many people head out to visit family. So without the tourists – what better time than to be a tourist yourself? That’s what we did by hiring a Go Car for the afternoon. 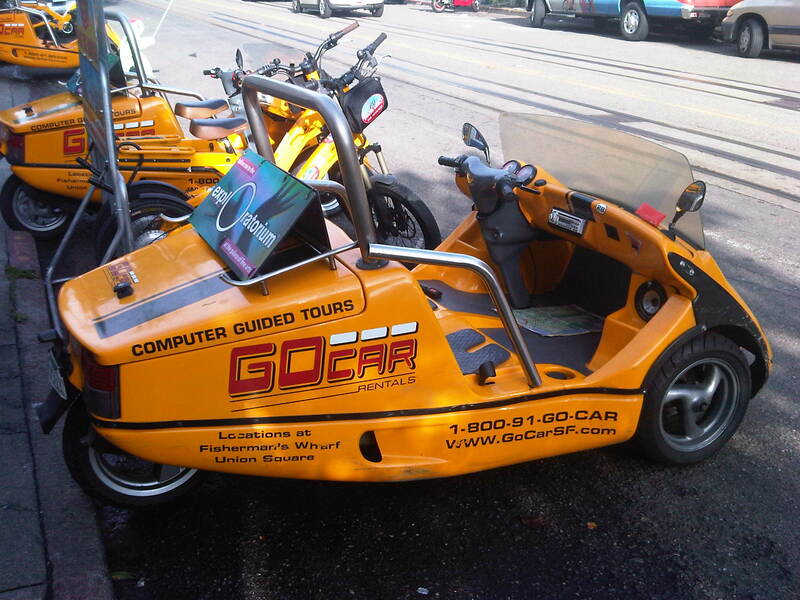 Go-Car – “the Story telling car” – is really a 3-wheeled trike/moped that directs you around the city and tells you interesting nuggets of information as you go. Lombard Street isn’t the most crookedest street in SF – this one in Potrero Hill is. A good fun way to see the city – though petrol fumes and getting beeped at by SUV’s does take it’s toll after a few hours!